BackgroundFor generations of Americans, Chianti has served as an introduction to Italy's red wines. 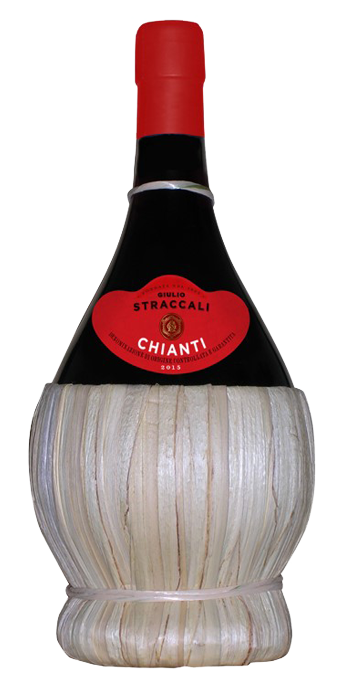 Founded by Giulio Straccali in 1925, Straccali has been in the vanguard of progressive Chianti producers. A man of vision, Guilio Straccali sought to communicate through his wines to the rest of the world the scents, colors and flavors of his beloved Tuscany. In 1978 the Zingarelli family of the Chianti estate of Rocca delle Macie began a long and fruitful relationship with Straccali that continues to this day. United by a shared dream set out by Giulio Straccali many decades earlier, the two families have pursued the same objective: to invite the world to discover the tantalizing flavors and colors of Tuscany, using wine as the ambassador. Today Straccali offers two distinctive wines from Tuscany. Its reputation stands for outstanding quality, exceptional value wines that have earned accolades from wine critics worldwide. Vinification12-14 days maceration. Once alcoholic and malolactic fermentations are complete, the wine ages 6-10 months in large oak casks and rests in bottle a further 3 months prior to release. NoseIntense and persistent; violet notes mingle with cherry. PalateWell-structured with a firm, polished finish. Serving SuggestionsServe at room temperature. Pair with hearty pastas, stews, poultry and red meats. Dry elegant well-structured. Intense vinous characteristics. Well-balanced with great structure and a pleasant finish.